The official date of the Jesuits' arrival in Klatovy is March 11, 1636. That day, the assistant of the Jesuit Provincial Superior P. Martin Stredonius and his two companions, John Molitor and George Aquitan, came to Klatovy. Their arrival was preceded by successful activity of the preacher and missionary P. Adalbert Chanovsky of Dlouha Ves, who had acted in this region approximately since 1621. His mission was supported by Pribik Jenisek of Ujezd, a powerful royal lower-chamberlain, and by the royal Lord Ordinary Jindrich Libstejnsky of Kolowrat. Urged by Adalbert Chanovsky, major noble families from the surroundings wrote a petition to ask the Jesuit Provincial Superior for the order to establish its residence in Klatovy and build its schools and church. This way a usual Jesuit procedure started - first a mission, later a residence building and a college, church and schools. Creation of the Jesuit Residence (1636) was enabled by Martin Hoef Huerta, who dedicated two so-called Koralek houses to the order (he had acquired them as subjects to sequestration) and agricultural buildings and fields in the closest neighbourhood of Klatovy. Development of the complex was also aided by the Emperor Ferdinand III, who commanded the Klatovy mayor and the town council to be helpful to the Jesuit Order. A suitable spot for the college was thougt and negotiated about (P. Chanovsky) already in 1637. The needs for it was met by the southwest part of the town, with burnt-down parts and about 12 unrestored houses (after the fire of May 12, 1579). Considerable support of the order came from Adam Jiri Borita of Martinic (son of Jaroslav Borita of Martinic) and his sister Lucie Otilie, married as countess of Kolowrat, who bequested the order with 50.000 florins of legacy. Important sponsors were the Dean of Blatna P. Marek Saller or Vaclav Herolt of Komburk. In 1642 the Jesuit college was founded, then still situated in the Koralek Houses. The first chancellor of the college was the former superior of the local residence P. Andrea Stredonius. In early 1650s Jesuits could start making particular plans of a new college, church and school. Gradually they managed to receive other houses needed for their constructional development. In 1653, P. Theodor Moretus became chancellor of the college, who had practical experience with building the jesuit complex in Breznice. He changed the previous ideas and plans and probably decided about the current location of the Jesuit church, which is unconventionally (following the east-west axis) situated, and about the layout of the other buildings. Footstone for the new Jesuit college (house Nr. 59) was lain on April 13, 1655, 'Chancellor P. Moretus started the construction according to his sketches' and still that year made significant progress. Jesuits went on to purchase the house of the Dobrs brothers for 1.400 florins, house of the Counts of Klenova for 500 florins, Alzbeta Zeberska's house for 145 florins and Anna Nuczlova's house for 466 florins. On April 24, 1656, on St. George's day, they started building the Immaculate Conception of Virgin Mary and St. Ignatius' church. The idea of the Jesuit complex project was given by P. Moretus. Plans of the church were perhaps drawn by Carlo Lurago, whose stay in Klatovy is documented for the year 1655. The construction was probably at its beginning led by Domenico Orsi. Records of next progress of the construction work are scarce, however in 1660 there is an account of finishing the school building worth 10.000 florins and in 1666 another saying that college chancellor P. Vaclav Schwerther summoned a new builder from Prague - J. D. Orsi again. He was to replace the previous one, who did not manage to control the building. According to a contract dated February 13, 1666 Domenico Orsi had finished the former church construction for 8.450 florins. The construction was prolonged due to lack of finance, so as late as 1671 it reached the roof and towers were settled. Next the construction went on so fast, that on July 31, 1675, the St. Ignatius festival day, the church could be consecrated and the first holy mass was sung. The traffic in the church was provisional, construction work went on till 1679, when the Prague Auxiliary Bishop Jan Ignatius Dlouhovesky consecrated the principal altar and two side altars on August 20. In the crypt below the church - the Klatovy Catacombs - burying of the deceased started just after finishing of the nave. First important funerals are recorded in 1677, but earlier ones are possible, too. In 1689 the whole Jesuit complex was damaged when the town was set on fire by the French, the college burnt down as well as the seminary and gymnasium, the church roof caught fire, towers, altars and walls were seriously damaged with smoke, windows were destroyed. Jesuits estimated the damage to 20.000 florins. They were able, however, relying on the aid of benefactors, to start restoration work immediately. Their leading sponsors were Frantisek Count of Morzin, Maxmilian Count Kolowrat, Count Lamengen, but also the cities of Plzen and Domazlice. Between 1692-1693 Jesuits built the seminary in the college gardens. Work on the church continued at the break of the 18th century. Gradually, the interior was furnished, the ground paved with stone, altars were added, roofs and vaults repaired, the vestry accomodated, the whole building coated. The dome and altar, painted by Jan Hiebl, are still a meaningful example of Baroque illusive painting, pictures on the altars were painted by I. Raab, F. X. Palko, J. Heinsch, J. P. Molitor. In 1723 the gymnasium bulding was finished, probably in years 1729-1743 the church front was redesigned (the author most probably being K. I. Dientzenhofer). In 1743 the church facade was decorated with statues of four order saints made by the Stribro sculptor J. Hanna. 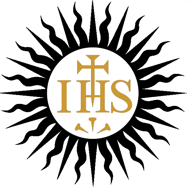 On cancelling the Jesuit order in Austria-Hungary in 1773, the Virgin Mary Immaculate Conception and St. Ignatius' church, the gymnasium and other parts of the complex were assigned to the town of Klatovy, in the college barracks were set up. — Ferdinand Vaněk and Dr. Karel Hostaš: „Soupis památek historických a uměleckých v Království Českém – díl VII, politický okres Klatovský“.